If the news is true and Jurgen Klopp will be handed the largest transfer kitty in the club’s history, then there is a strong chance our record fee for a player could be broken this summer. Doing so would mean paying over the £35million that was forked out to acquire the services of striker Andy Carroll, who didn’t quite enjoy the prolific Anfield career many hoped he would. Regardless of Klopp’s tendency to pursue less familiar prospects, it seems inevitable that the wishes of fans will be granted and that some big name players will be targeted when the window re-opens. Real Madrid’s James Rodriguez has emerged as the subject of the latest Liverpool transfer rumours having fallen out of favour under Zinedine Zidane and subsequently being linked to a move away from the Bernabeu. “The Reds are reportedly prepared to pay £43m to secure his signature with bonuses taking the total fee up to £52m,” reported Spanish news outlet Don Balon, as translated by the Daily Express. 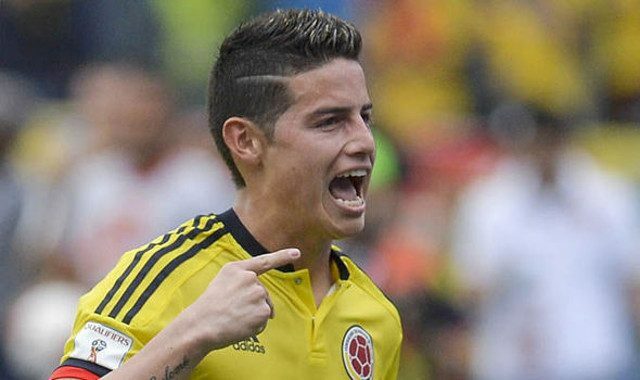 Rodriguez’s outstanding 2014 World Cup showcased the talent he possesses and justified the hefty fee Madrid paid for him, believed to be £63million rising to £71million. Liverpool can undoubtedly meet his need to be playing regularly yet Champions League football appears a must in order to attract a star of his calibre. Manchester United and Chelsea are also believed to be interested in the attacking midfielder, who has scored 30 goals across all competitions since moving to Madrid from Monaco in 2014.